The main purpose of a backup and recovery service is to protect your data against loss and to reconstruct the data after any event that might cause data loss (corruption, hardware failure etc..). Area9 provides a suite of data protection services based on leading backup software from software manufacturers such as Veeam®. Area9's solutions meet the backup a recovery needs organisations large or small and add new levels of data protection and disaster tolerance to your business. Area9 also offers Backup & Recovery-as-a-Service (BRaaS). BRaaS delivers a cost effective, secure and scalable solution to meet your data protection and availability needs. Using proven technology, the service provides an alternative to traditional physical media based backup and offers a range of onsite hardware and network connectivity means to cater for just about any volume of data. Backup & Recovery-as-a-Service is delivered as a fully managed service, securely incorporated into your network, maximising your existing IT infrastructure while delivering faster more reliable and secure data backup and recovery. Area9 has partnered with leading Cloud Backup technology provider Veeam® to deliver a high availability Cloud based backup service addressing the growing data protection needs of Northern Australia. 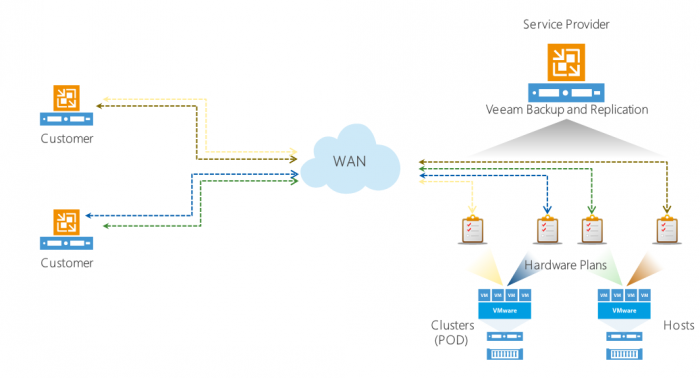 Area9's Veeam® Cloud Connect services helps business protect and recover critical on-premise applications and systems as well as cloud SaaS based cloud systems such as Ofiice365. Provides protection for your systems from malicious attacks. Allows for rapid recovery for on-premise servers. Extends existing backup systems into the Area9 cloud. Preserves pre-existing investments in Veeam® products. Area9 provides a comprehensive set of services to align clients' needs with the very latest in Data Backup solutions. Central to this is a review of existing procedures relating to emergency data recovery and business continuity by developing frameworks to ensure that a business is still able to function to a defined minimum level in the event of major system failure. Monthly storage of replicated business data. Installation and configuration of the primary backup server. Installation and configuration of replacement backup software. Provision of virtual environment for data restoration purposes. Configuration of backups for replication between client sites and Area9 data centres. Supply, installation and configuration of appliances to meet your data backup and storage needs. Specification and installation of appropriate network connectivity between your site and our data centres. Reduced management and operational overheads for your business. Improved data recovery time versus tape solutions. Supported on-site hardware, network connectivity and off-site data storage. Area9's experience can help your business deploy the right backup system to protect you from losing your data. Area9 is partnering with leading technology providers and employs highly skilled engineers.